All Air Services offers bespoke, taylor made preventative maintenance packages which are designed to meet your commercial needs. We have fully qualified service technicians who can attend to a diagnostic callout or simply a one off general service to suit your requirements. A low cost, well-managed preventative maintenance regime is vital to maximise the life, health and efficiency of any commercial air conditioning system. Our business software is designed and automated to deal with your routine maintenance schedule so you don’t have to. Also our mobile service software ensures that our technicians keep you up to date in real-time. Air conditioning systems are NOT maintenance free and do require regular attention. We recommend that commercial systems are maintained on a quarterly basis or 6 monthly as a minimum. During the hot summer months your air conditioning becomes an integral part of your business. A well maintained system is much more likely to serve you well when you need it the most. In addition to hassle free servicing, becoming one of our valued contracted clients means that you become our priority when it comes to any breakdown or repair works. This is especially valuable in the busy summer months. With our dedicated contract client staff and priority services you can rest at ease knowing that we’ve got your air conditioning needs covered. *Preventative maintenance pricing starts from $28 per wall mounted reverse cycle system based on a minimum of 4 units. 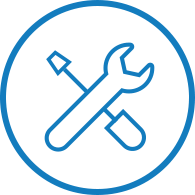 Our commercial maintenance packages can be tailored for any number of systems, please give us a call to talk to our team for more information and package pricing. A general air conditioning service is a one off maintenance visit for working systems that just need some attention. This type of service is designed to keep your system(s) clean and running efficiently.